By virtue of the stories we choose to tell, a new narrative can emerge from unspeakable suffering. the spirit of active participation in social change. these women celebrate selfhood through sport; use business as an act of compassion; recognize women farmers as entrusted land stewards; use education to build moral imagination; spread the values of social justice and human rights through song and slogans; promote girl's education as a pathway out of poverty and toward equality; accelerate rural development through radio; inspire collective action through film; restore dignity by providing affordable healthcare; and enrich people's lands and lives through cooperative, door-step banking. And the list goes on. Because I pushed education for myself so hard, despite odds, I found a self. I was able to construct one; I was able to push the limits and boundaries of my life. And so I thought education is important and I knew it wasn’t being done right. One of the things I keep saying is that you have to be mad to be doing this. There has to be a madness. Whenever I go to NGO forums, or discover other organizations working on this issue, there is a certain madness that I see, which I think is love, because only when you are so maddened with love can you talk about the impossible things that we are all trying to do. The values at Aravind, and in all aspects of our life, begin with trusting a common person. Afterall, the world is not for anyone, the world is for everyone of us. Trusting each other. Helping each other. Hard work. That is: Not 90 hours of work, but passion to do work, whatever is close to your heart. Do it well and do it in a perfect way so it need not be done again. After listening to them, I felt that these women are requesting a way to save money. They were not asking for money. They were not asking for grants. They were not asking for subsidy. They have found a solution -- that by saving money, they can improve their lives. Then why not start a bank? And this is how the whole idea for starting a women’s bank began. I was with the UN for 27 years. I could not say it to the FAO or to the donors, but in my mind it was clear, and in my workshops it was clear: the work was based on friendship, love and solidarity. Because I believe technical solutions are not good enough. Human beings do not just have a mouth to eat. We have a soul. We have a mind. We have religions. We have cultures. So from the beginning, I knew all of these aspects were related. I had a job composing at a printing press. This is where I first began. Everyday while I was there, I saw new stories about incidents of atrocities against women or young girls being harassed — someone being burnt for dowry. This is when I felt that something had to be done. And I wondered what it was we could do on our own. Here was a woman from Rajput community, practicing purdah system and living within the confines of her home, who started to go outside and meet people. In particular, she was talking to men! So there was objection to it. But when I negated this resistance by not giving in and continuing to move forward, many other women came forward to work. When my mom took a [marriage] proposal to a guy's family and said here is my girl and this is what she is doing in her life, the people said: well, we like her, but maybe we would not want her to do what she is doing after marriage. And that was the end of the story; so for the longest time I was not married. At one point I thought that maybe this is the price I have to pay for pursuing my dream. Sports is an area where women and girls exercise there individuality on their own behalf. They decide how to move in a particular condition, how to move in a particular situation. They have to decide and act at the same time. And doing sports over and over again on their own behalf, by themselves, instills a level of confidence in them. What has been a part of my experience is sports as an empowerment activity for girls, particularly in the context of India. When one looks upon all of India's people with an eye of equal regard, one will find women leaders everywhere. Many are imagining India’s future and building it, inspiring others to do the same. These women know their purpose; they have found it, forged it, and are laying the tracks for a new narrative, which is being written across a complex social landscape of the most populous democracy in the world of over 1.2 billion people. In a society where inequality, injustice, and disrespect toward women and girls often prevails, these intrepid individuals are demonstrating in simple terms and through bold actions that there can be no meaningful development in India without the full participation of all its people. These women refuse to stop imagining life differently, and they work mindfully and tirelessly for the growth and development of themselves, their communities, and their country. Through them, India is realizing herself and shaping her future, as each woman leader imbues this great nation with a vibrant and vital force that will not be restrained. Still, it is only when we make women leaders visible that their contributions can be recognized, their efforts supported, and their indispensable role in peace-making and nation-building properly understood. It is for this reason that we seek to bring these women into focus here. 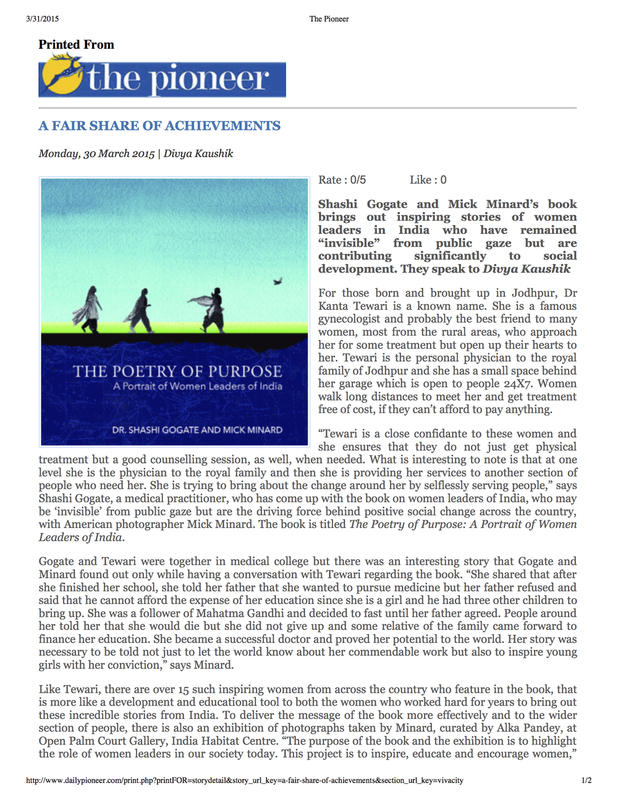 The Poetry of Purpose offers a portrait of fifteen such leaders: women across India who—often in the face of their own social, political, familial, and economic challenges—are scaling the heights of the human spirit and improving the lives of ordinary people in extraordinary ways. What depth and height and vastness their accomplishments offer to the country and to humanity, as they celebrate selfhood through sport; use business as an act of compassion; recognize women farmers as entrusted land stewards; use education to build moral imagination; spread the values of social justice and human rights through song and slogans; promote girls’ education as a pathway out of poverty and toward equality; accelerate rural development through radio; inspire collective action through film; restore dignity by providing affordable healthcare; and enrich people's lands and lives through cooperative, door-step banking. And the list goes on. 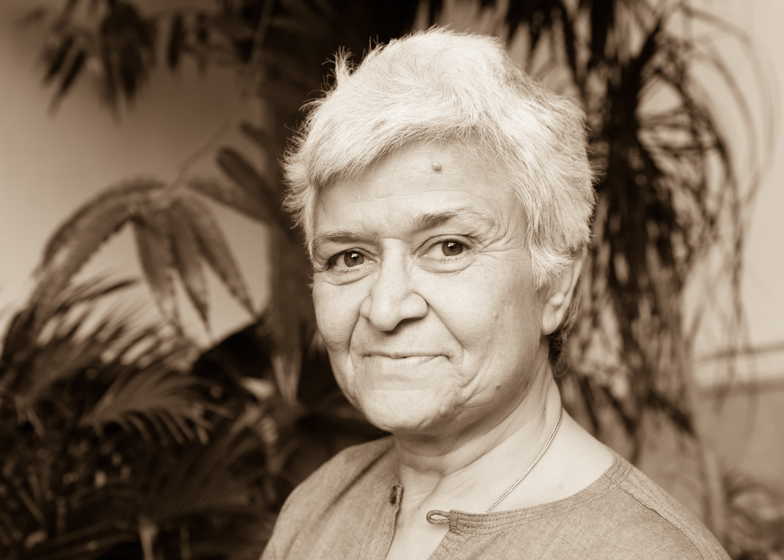 Through photographic portraits of each woman, accompanied by personal reflections on her life and work, a picture emerges of what the path to leadership looks like, not just for women in India, but for people everywhere—from the earliest stages of self-discovery to an enduring desire to strive in the service of others. To embark upon this path, each of these women has first had to overcome barriers within herself—battling hesitancy and doubt, and surmounting circumscribed perceptions of her own potential and that of the world around her. 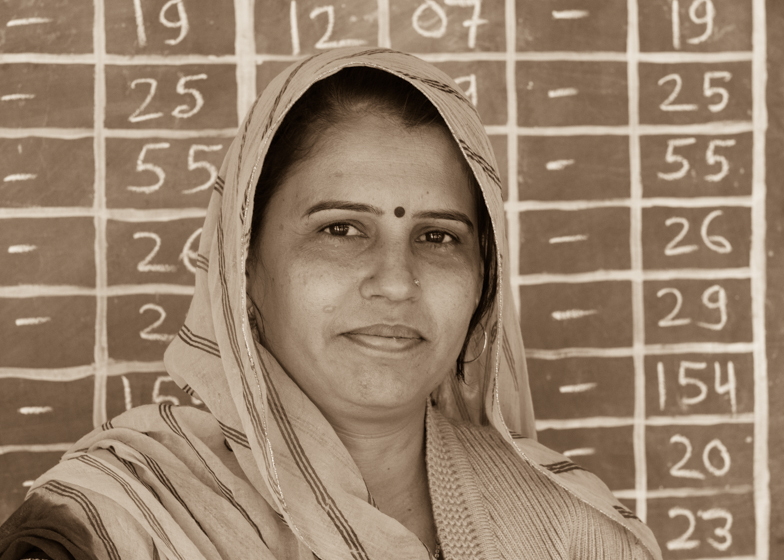 In many cases, the distance a woman travels from her starting point to a position of efficacy and leadership is commensurate with the intensity of her devotion to improving the life chances of her children, her community members, and her fellow citizens—especially those of the most vulnerable; women and girls. This is the kind of woman found in the pages of this book: one who is creating the conditions for which all people have the opportunity to realize their higher selves, even as she continues to realize her own. Hers is a mindful pursuit aimed at an enduring outcome; not to perfect society, but to improve it, with an emphasis on finding meaning and value everywhere—even in suffering—and to dedicate her life to something greater than herself. The essential value of each of these leaders’ contributions to Indian society is not, we believe, confined solely to her primary area of influence, where the results are tangible. Rather, it lies also in the degree to which her wonder, vision, and courage call forth in her family, community, and larger social networks a broadening of consciousness and comprehension—demonstrating a simple and enduring truth: that a sense of purpose brings beauty and fulfillment not only to the individual soul, but also to the lives of all it touches. It is the poetry of purpose. The lighthouse of the human spirit. DR. SHASHI GOGATE was born and raised in Indore, Madhya Pradesh. She attended medical school with the support and encouragement of her parents, earning an MBBS from M. Gandhi Medical College in her hometown. After marrying and having her first child, she moved with her husband to the United States, where she continued her medical education and earned a Masters in Pathology at the Ohio State University Hospitals. While raising three children with her husband, she became Board Certified in Anatomic Pathology and Clinical Laboratories, and served for three years as an Assistant Professor in Pathology at the Ohio State University Hospitals. In 1975, she joined Fairfield Medical Center in Lancaster, Ohio, where she would practice in the field of pathology for the next thirty-five years as the center’s Director of Clinical Labs and Chief of Pathology. In 1996, she was elected President of the Medical Staff, and in 2009, she became Chair of the hospital’s Board of Directors. In early 1970, after the birth of her third child, Dr. Gogate and her family began a new chapter of personal growth and spirituality through the practice of meditation. Over the years, her daily meditation practice gradually deepened her appreciation for and connection to her native homeland, and she increasingly felt spurred to reflect on the importance of self-discovery, self-sufficiency, and self-restoration for the realization of one’s potential—a development that ultimately inspired her interest in undertaking this book project. She lives with her husband in Columbus, Ohio. MICK MINARD is a writer, photographer, and strategy consultant specializing in program design, marketing communications, and impact assessment. Over the past twenty years, her professional and artistic work has largely been focused on promoting promising ideas for restoring connection between human society and the natural world. Her photographs have been exhibited in New York City and sold commercially, and she uses visual and written narrative to inspire new forms of leadership, organizational transformation, and community engagement. 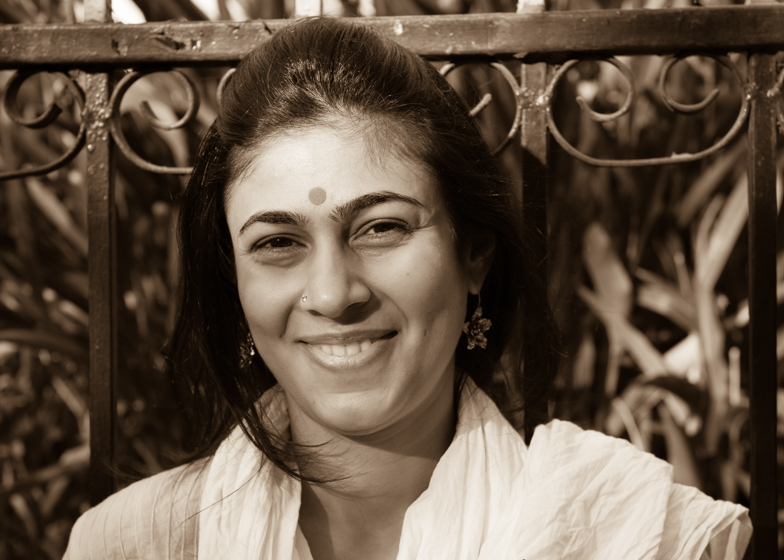 Since 1998, Mick has worked in the United States, Europe, East Africa, and South Asia, with both non-profit and for-profit social ventures, and she has facilitated the growth of early-stage capacity-building and income-generating initiatives serving the underprivileged and the rural poor. From 2009 - 2015, Mick led REEF Reports (Realizing the Ecosystem Effects of Finance™), a strategy consulting company she founded in response to the growth of impact investing which was unlocking significant sums of private investment capital to complement public resources and philanthropy in addressing pressing global challenges. REEF partnered with social enterprises, impact investors, foundations, academic institutions, and international development organizations (projects, teams, and networks) to design an “impact practice” to improve performance, attract capital, inform investment decisions, engage stakeholders, and influence policy. Mick’s public speaking engagements in the U.S. and internationally have expanded awareness of the need for a sharper focus on the world’s women farmers. In 2012 and 2013, she was invited to present her research on the subject at the UN’s 56th and 57th Commissions on the Status of Women. In 2014, she was appointed Representative to the United Nations to advocate for the empowerment of women and girls through life-long education. In 2015, Mick joined the REI Co-op and currently leads the company’s experience business, philanthropic strategy, public policy and advocacy initiatives, and local brand engagement and stewardship investments in Oregon. She is based in Portland. the first edition of the book is ON SALE FOR $22.95, PLUS shipping and handling. PRINTED AND BOUND BY PRAGATI OFFSET PVT. LTD. IF YOU would like TO GET IN TOUCH, CONTACT US! 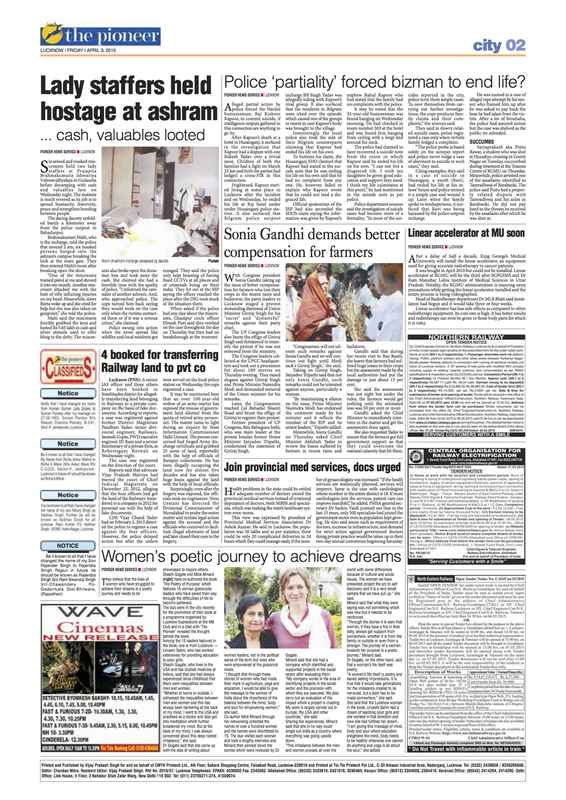 curated by dr. alka pande. GUEST OF HONOUR: SHRI JAWHAR SIRCAR, CHIEF EXECUTIVE OFFICER OF PRASAR BHARATI. 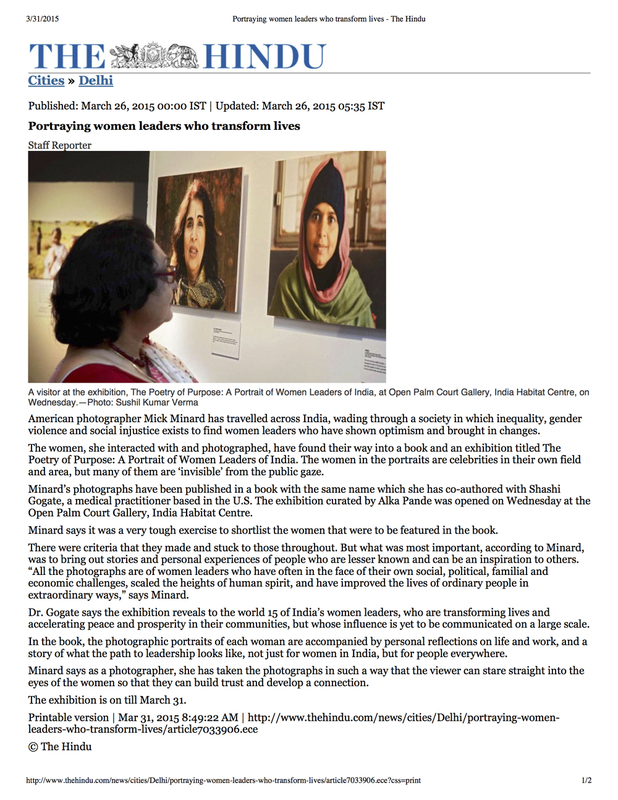 BOOK RELEASED BY SHRI VINAY SHEEL OBEROI, SECRETARY, MINISTRY OF WOMEN & CHILD DEVELOPMENT, AND MR. MICHAEL PELLETIER, THE DEPUTY CHIEF OF MISSION AT THE AMERICAN EMBASSY IN DELHI, opened THE PHOTOGRAPHY EXHIBITION. THANKS FOR ALL WHO SUPPORTED AND JOINED US FOR THESE SUCCESSFUL EVENTS!